Ok, let's get it out of the way right up front, because I know you are wondering about it. No, our domain name is not in the dictionary yet, but in my humble opinion, it should be. I know I could have just used a real word like hermeneutics or homiletics or exegetical in my domain name, but "preachology" says it all...and it's not quite as stuffy as those other words. Let's be honest. Sometimes we like to use big words when we deliver a message, because it implies we are smart or at least "smarter than thou." The problem is that nobody knows what we are talking about and that can't be good for their spiritual growth. Let's make it real because that works better in the real world with real people, to whom we are ministering. Now there's nothing wrong with those other words, the stuffy ones that is. I used them a lot when I was teaching in Bible colleges and Universities. Of course, I was a little more stuffy myself in those days. I'll tell you more about myself later. But maybe we need a little less stuffiness in the ministry these days! I'm not saying tradition or formality is bad, in its proper place. I'm only saying it's wrong when it becomes more important than reality. It's wrong when it hinders the development of real life relationships with those to whom we minister. I don't know about you, but I don't want to be fake! We need ministers who are willing to get their hands dirty and get involved with people, you know, human beings on planet earth. Those real world people are not going to come to us, up on the pedestal, where we have placed ourselves. We must go to them and relate to them...no matter who they are, how they are, or where they are. Preachology is from the words "preach" (to deliver a sermon) and "ology" (any science or branch of study). So, my definition? "The science and art of preaching." It's a craft performed by a real person. And we will talk much more about that craft later. My goal for this web site is to provide a virtual handbook or online ministers manual for this ministry...all at one location. I'm also hoping we can learn together how to make Christian ministries real. Here's how it breaks down. Alright, in the terminology of the ministry, here's the outline. And that would be the online outline, as it were. Sorry, I couldn't help myself. How does he become a pastor or a minister? What are his clergy qualifications? How does he prepare himself for Christian ministries? How does he get his biblical inspiration? How does the servant of God continue in the ministry? ...and we'll answer much more. How does the minister study for his sermon? How does the minister write or build a sermon? How does the pulpiteer deliver his sermon? May I have some free sermons? Who does the minister speak to and minister to? Where does he get education for the ministry? Where does he find churches seeking pastors? How does the preacher minister to his people? When does the minister counsel or minister to his people? What can a minister expect from his people? This web site will benefit anyone, man or woman, who proclaims the truth of God's Word in any official or unofficial capacity. That would include pastors, teachers, evangelists, missionaries, as well as any lay ministers and teachers. I especially want to help those who have just become a pastor, those who are starting a ministry and especially the young preacher. Anyone who has, who is, or who will in the future proclaim the truth of Scriptures can benefit from this web site. You can also be a benefit to other ministers who congregate at this web site and share biblical inspiration. I honestly want my website, in some way, to help educate, edify, and encourage all who visit. There are many ministries and churches seeking pastors and I want them to be ready for the call. But fellow ministers, I need your help. I pray you will contribute your opinions, your sermons, your poems, your illustrations, and your stories. I want other ministers to be inspired by you and your work as well. The bottom line is...we need each other. To that end this website was created. Subscribe for Free Sermons and Ebook! Please subscribe to my free newsletter. It tells you each month about the new information that I have added to my web site. It will also include some great ministry stories and favorite sermons and sermon ideas by me and other lovers of the ministry. Step 1: Click here...The Preaching Ezine. Step 2: Fill out brief form and subscribe. Step 3: See and read "Thank You" page. Step 4: Receive "Thank You" email. Step 5: Click on "Confirmation" link on email. Step 6: See and read "Confirmation" page. Step 7: Download ebook, "Power Through Prayer." Step 8: Recieve "Confirmation" email. Also, please subscribe to my free Mini-Blog. This RSS feed is a small blog about the preaching ministry (kind of a journal), which will let you know whenever any new or changed web pages appear. It will also keep you up-to-date with other special postings and points out some of our super-special past information that you might otherwise miss, like free sermons and ministry helps. Click on "Preaching Blog" on my NavBar to the left of the page. Someone once said to a minister and I sense them saying it to me now, "speak up or shut up." You can use the navbar to the left of every page or scroll through the table of contents below. Summary of the ministers or "messenger" section of Preachology.com, a virtual ministry manual covering the messenger, the message and the ministry. Are you called to preach? How do you know? What does that mean? Preachers Have a Life Too, You Know? The Preachers personal life exposed...the good, the bad, and the ugly! Christian Inspiration for Preachers Too? Christian inspiration is essential for preachers too. Where do you get your inspiration and spiritual strength? The Christian beliefs of a preacher make a difference in what he preaches and teaches. Christian leadership must have positive character traits or it is not real Biblical leadership. Clergy books that help the Preacher develop in his personal relationship with the Lord are very important to him and his ministry. Summary of the sermons or "message" section of Preachology.com, a virtual ministry manual covering the messenger, the message and the ministry. Bible sermons types are defined and evaluated, both negatively and positively. 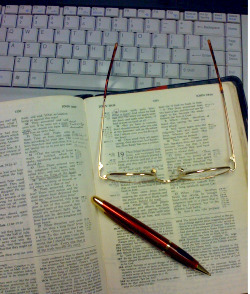 Bible Scripture selection is just part of the process of sermon preparation. There is much to think about, collect, and study to be properly prepared to preach. Bible studies are the heart of the sermon, but let's trace the sermon from God to the preacher to the hearer. Sermon Building - How Is It Done? Sermon building is sermon central of the message writing process. It's after the study and before the delivery. Sermon illustrations of all kinds (stories, quotes, jokes, poems, dramas, audios, videos, powerpoints, pictures, visual aids) are freely available to help you personalize Biblical truth. Preaching sermons well is part of the science and art of preaching described in preachology.com. Can anyone deliver a sermon? Free sermons can be a blessing to the busy preacher, especially if they are bi-vocational and have a family too. Bible study outlines are sermon seeds or sermon starters that can help the preacher get going in his sermon study and preparation. Got Sermons and Sermon Outlines to Share? Sharing your sermons and sermon outlines will go a long way in encouraging other preachers. Do you have an online sermon page? Now is your chance to have your own page to publish your sermons. Preaching books that help the Preacher study the Bible, build and deliver sermons are very beneficial to him and his ministry. Summary of the Christian work or "ministry" section of Preachology.com, a virtual ministry manual covering the messenger, the message and the ministry. Spiritual Leadership. What Is It and Who Has It? Spiritual leadership is leadership that makes things happen in the Christian Ministry. Ministry style not only helps determine the type of leader you are, it also helps determine the type of followers you have. Christian ministry jobs vary greatly. A job description of the major preaching ministries will help one determine his direction in ministry. Ministry teams vary in size and type, but they are essential to the success of any ministry. Ministry books that help the Preacher develop his ministry skills are very beneficial to him and his ministry. This is the web ministry housekeeping section for Preachology.com...A comprehensive virtual preaching manual and workbook. This guidebook covers everything you ever wanted to know about the ministry.. The Preaching Blog keeps you up-to-date with all additions and changes to the Preachology.com Web site, including new sermons and helps. "The Preaching Ezine" is the newsletter of preachology.com providing updates and free sermons and sermon helps. Preachology is a ministry for educating and encouraging young preachers, empowering and enriching busy preachers, as well as refreshing and refueling discouraged preachers in their preaching ministry. Mark Hollingsworth's brief ministry history leading up to the web ministry of Preachology.com. Contact me at preachology.com with ideas, with comments, with suggestions, or contact me for help. Ministry Websites that help us in our ministry are very valuable resources because they can not only inspire us and encourage us, but they can also help us in the actual performance of the ministry. An online ministry sitemap for Preachology.com. All about the messenger, the message, and the ministry. Preachology SiteSearch allows you to search the Preaching Ministry at Preachology.com and the web. Preaching News is a valuable way to keep up with the Christian Preaching Ministry around the world.